Control Your Garage Door Opener via Smartphone! You’re most likely already “smart” when it comes to turning on your lights, air conditioning or maybe your front door? If you’re not using smart technology to operate your home, you probably are when it comes to listening to music, maybe you’re paying for groceries using your smartphone or accessing important files via the cloud. 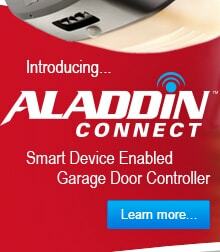 Well, you can control your garage door system the same way, right from your ipad, iphone or android phones. Getting “smart” is extremely easy. You have several options to choose from. 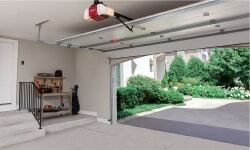 For example, converting your existing garage door opener by adding an additional opener accessory. Both LiftMaster and Genie have upgrade kits. Or you may opt to upgrade your door opener entirely. Either way, moving up to a smartphone enabled garage door opener is super easy. Need to let someone in? How about open your garage door from anywhere in the world? Get smart and do just that. 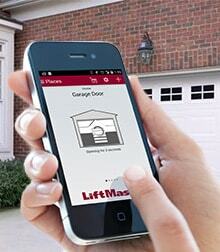 Easily monitor your garage door activity anytime, anyplace in the LiftMaster MyQ app. Know when your garage door is left open, when your child opens or closes the door with your iphone or ipad. 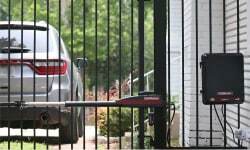 If you have a gate using the MyQ app; you can use it for both your gate & garage door. 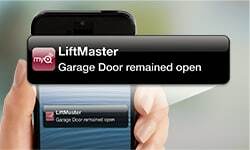 Download the LiftMaster MyQ app for iphone, ipad & android phones. Learn more about turning your garage door into a smart system. Download the Genie Aladdin Connect app for iphone, ipad & android phones. Learn more about turning your garage door into a smart system.